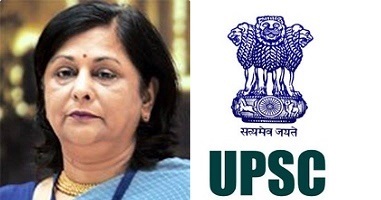 Former IAS officer Alka Sirohi has been appointed as New chairman of Union Public Service Commission (UPSC), in place of Deepak Gupta who demits office on 20th September 2016. President Pranab Mukherjee has appointed Sirohi to perform the duties of the post of the chairman, UPSC, with effect from September 21, an order issued by Department of Personnel and Training said. She is presently member in the Commission. The appointment is till further orders or till completion of her term as member on January 3, 2017, whichever is earlier, it said.